Missing black letters on a sign welcoming swimmers to Westport Village Beach had been replaced by pink. 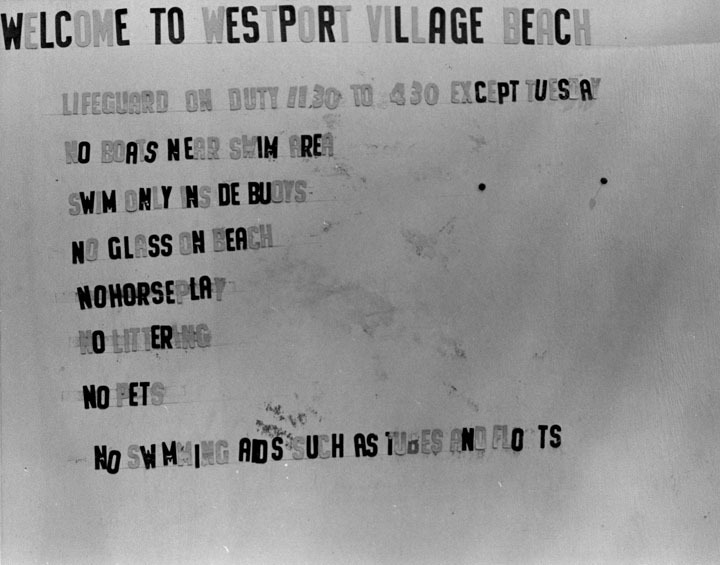 At the intended distance of 50 feet, only the black letters were legible, rendering the message barely decipherable as English. It was an ironic welcome: Visitors who wanted to read the sign had no choice but to come closer. H: 9.5 in. x W: 14 in.